Gaither Vocal Band opens the season for Tonight at the Wright. Samford University has announced the 2017–18 Wright Center performance schedule, Tonight at the Wright, featuring performers from around the world. This year, Wright Center offers a variety of family-friendly events. The well-loved Gaither Vocal Band kicks off the season Sept. 8 and is followed by popular Birmingham-based group Three on String Sept. 28. The Harry Potter Film Concert Series will bring the music and the magic of Harry Potter and the Sorcerer’s Stone to life Oct. 20. This concert is presented in partnership with the Alabama Symphony Orchestra’s Red Diamond SuperPops Series. Ashley Campbell shares her own music as well as stories of performing with her dad, Glen Campbell, Nov. 3. The holiday season rings in Dec. 1 with Act of Congress and the Alabama Symphony. Spring concerts include Hard Travelin’ with Woody Jan. 25 featuring Randy Noojin and a special concert featuring the Sozo Children’s Choir April 5 that will benefit its program in Uganda. Additionally, the Samford School of the Arts Department of Theatre and Dance production of Children of Eden starring David Phelps will take place in Wright Center April 26–29. This production is sponsored by the Michael J. and Mary Anne Freeman Theatre and Dance Series, and Samford alumni and arts patrons John and Marsha Floyd. Gannon noted that Wright Center is an integral part of the Birmingham community, hosting prestigious guest artists and lecturers, high school graduations, dance recitals, and local arts groups, including the Alabama Symphony Orchestra, Opera Birmingham and Alabama Ballet. 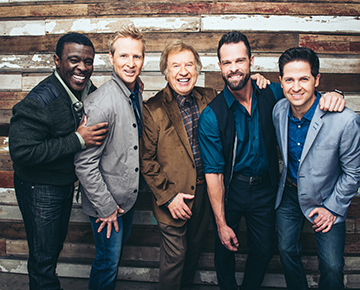 Gaither Vocal Band tickets are available online. Tickets for Harry Potter and Act of Congress are available at alabamasymphony.org. The remaining season will be on sale Aug. 10. Call the Samford box office at 205-726-2853 or order online. Also, sign up for the Samford Arts newsletter at artstickets@samford.edu for current ticket and performance information.